Lakewood Ranch is located between Bradenton and Sarasota just east of I-75. This is a planned community that spans two counties and offers homes and condos, shops, restaurants, medical facilities and more. There are a total of nine villages, some with townhomes and others with luxury custom estates. 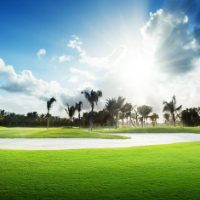 With both gourmet and family-friendly restaurants, Lakewood Ranch is know for the A-rated schools plus specialty shops and boutiques, three different masterfully designed golf courses a beautiful athletic center, and 18 lighted tennis courts. We have a Polo Club and Cricket Clubs and miles of sidewalks and trails that highlight the spectacular landscape and wildlife. Many community parks are scattered around lakes with nature preserves, forest and wetland preserves. Is the market shifting? Refer to the chart below to see changes over the past year. Contact the Florida Gulf Coast Group for a more specific Market Report and for help to understand what this means for sellers, buyers and investors. Some of the properties found in Lakewood Ranch are displayed below. To do a full property search of the area use our SEARCH ALL PROPERTIES page. Updated: 21st April, 2019 12:08 AM.